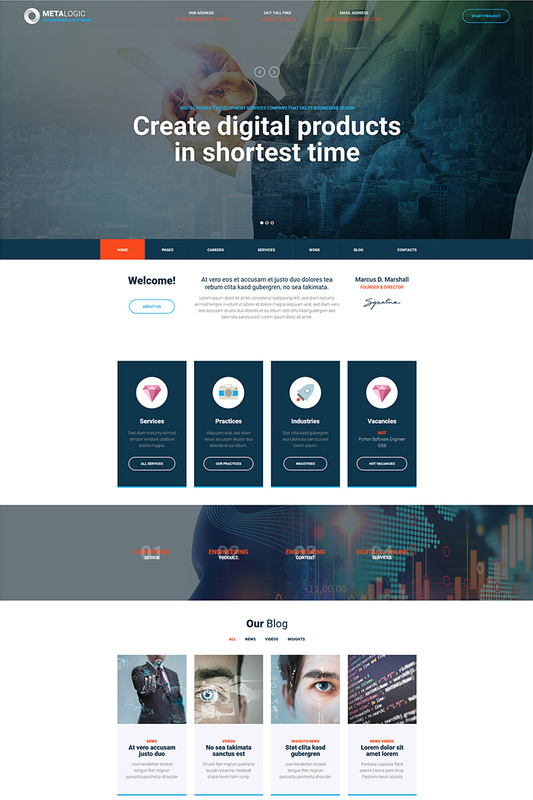 Metalogic is modern WordPress theme built for web design, software development and ISP companies. It is also great for software outsource development, recruitment agency and out staffing. The theme supports boxed layout and comes with three predefined color schemes. Has several options for header and footer. Features fonts from Google fonts library and FontAwesome icons. Nowadays, website is serves as a brand identity, and it would be hard to sidestep your rivals without having one. So this ready-made website is an incredible solution for the start!